Ms Vy, a culinary icon in the Asian community, is the face behind the widely respected hospitality brand Taste Vietnam which aims to showcase the diversity of Vietnamese cuisine on the world stage. Whilst it is regarded as one of the healthiest cuisines in the world, Vietnamese cuisine is particularly unique as there is a strong emphasis on the balance and harmony of flavours and textures. Through her successful restaurants in Hoi An, My Vy has created some of the country's best gourmet Vietnamese eateries, bakeries and patisseries. She is continuing her culinary adventure in Melbourne with House of Hoi An, which is open Tuesday to Saturday from 5.30pm till late. In the vibrant inner city suburb of Windsor, home of a wide array of vintage finds, eclectic eateries and boutique shops, House of Hoi serves up a tantalising menu of Vietnamese favourites, which are ideal for sharing with family and friends. Signature dishes include the Roll your own barbeque-pork rice-paper rolls, Fried wonton with crab meat and for those looking for something a little more hearty, there is the classic Eggplant in clay pot with minced pork or Stuffed Squid with pork. The seasonal menu offers a wonderful celebration of impeccably prepared Vietnamese cuisine, with a great selection of street food favourites, healthy salads, light noodle dishes, vegetarian and vegetable side dishes, home-style classics, celebration dishes and exotic deserts. Check it out here. For a limited time, House of Hoi An is also serving Vietnamese Street food favourites - come along and choose from a diverse range of sweet and savoury dishes, matched with authentic Vietnamese cocktails. With its charming decor and spacious setting, House of Hoi An is a great place for friends to catch up, families to celebrate a special occasion and workmates to enjoy Friday night drinks. 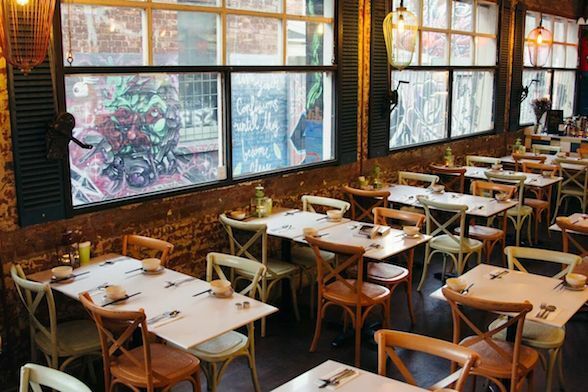 Regarded as one of Melbourne's best foodie hotspots, House of Hoi An is a must visit for lovers of Vietnamese cuisine or for those who are looking for a unique culinary experience in Melbourne.